he new book, Springboard: Launching Your Personal Search For Success. TO RECEIVE THE RECORDING, submit your name and email address here:. SpringboardIn a 2012 survey of 26,000 Americans by Parade Magazine and Yahoo! Finance, nearly 60% reported that they fully regretted their career choices. When you consider that job satisfaction is a critical element of well-being and overall life satisfaction, this is indeed a striking finding. Why have so many people found themselves in careers that leave them feeling empty and unfulfilled? According to Wharton Business School professor Richard Shell, they may not have asked the right questions of themselves at the start. Shell speaks from experience. recounting his personal search for success in the introduction to his book, Springboard. When he left Princeton with an undergraduate degree in hand, he had no clear idea of the work he wanted to do–or to which he would be ideally matched. He took jobs as a house painter, a social worker and a fundraiser–and found himself miserable doing all of them. The son of a celebrated Marine Corps general, he became a pacifist during the Vietnam War era, cutting off family ties–leaving himself adrift. He embarked on what he terms his “Odyssey Years” as a world traveller, struggling with a sense of failure and exploring aimlessly through the Middle East and Asia for almost a decade–until he contracted hepatitis in Afghanistan. Dealing with this life-threatening illness ultimately shifted Shell’s perspective, influencing him to dive deeply into understanding his own motivations, interests, and talents. He learned the basics of Buddhist meditation and engaged in long stretches of contemplation and soul searching. This turning point in his late 20’s brought him to law school, where he realized how much he liked the academic environment. He went on to work as an attorney but, at the age of 37, began a university teaching career that has proven to be his life’s calling–combining his early Odyssey Years and writing and his later experience as an expert in legal studies and business ethics to become a guide for others on finding the path toward a more authentic and meaning-filled success. Since he became a professor at the University of Pennsylvania’s Wharton School 27 years ago, Shell has focused on the concept of success, and on how people can best discover their own values and purpose. He read Aristotle, Plato, Charles Lindbergh, Dale Carnegie, Benjamin Franklin, and others before finally distilling the collective wisdom into a university-wide seminar called, “The Literature Of Success.” Shell intentionally designed a curriculum he “would have wanted to have taken (himself) when (he) was a senior in college” to ensure that his students leave school far better prepared to make the important life choices that lay ahead for them. 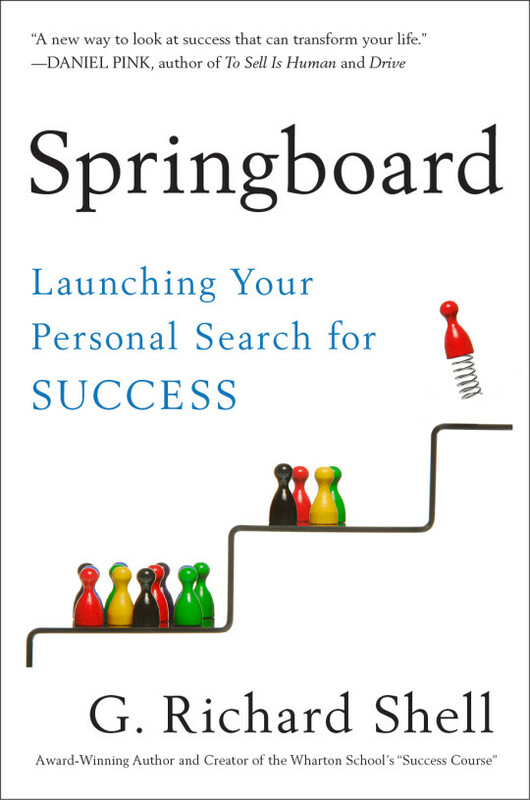 Now, after teaching this immensely popular course to both students and faculty for more than a decade, Shell outlines his lessons and strategies in his newest book, Springboard: Launching Your Personal Search For Success. Springboard is written to help readers discover what gives their lives the greatest meaning–so they can begin defining success on their own terms and proceed along their unique paths towards meaningful life and work whether they are just entering the job market, changing careers midstream, or retiring. Using research on happiness and wealth, as well as anecdotes and spiritual wisdom, Shell concludes that success and the “ideal life” can be reached by engaging in meaningful work that uses unique talents, ignites emotionally, and is financially rewarding in addition to building health and strong relationships. And then he present viable ways to pursue this wider vision of success, by expanding social circles, increasing self-confidence, and focusing on our unique strengths and skill sets. He presents worksheets and exercises to facilitate this process, and offers examples of people in different phases of their careers who reinvented themselves to find work that not only inspires and fulfills their own lives, but benefits their larger communities. Coaches will already be familiar with some of Shell’s content and the process of moving towards goals by identifying personal directions: What makes my heart sing? What would success look like? What would I do next if I didn’t have to worry about money? Acknowledging that “there is no foolproof system that always leads to success,” Shell presents additional processes and strategies that help turn questions inside and inspire answers, leading to action: trial-and-error experimentation, risk-taking, and observation of what unfolds, how that feels, and what that might mean about purpose and choice. And Shell regards identifying strengths as an essential part of creating this success. His strategies focus on discovering and using strengths and unique capabilities that each person develops from interests, training, and life experience. In fact, for his Wharton class, Shell developed one test which incorporated elements from others including the Myers-Briggs Type Indicator, VIA Survey of Character Strengths, and StrengthsFinder to measure four dimensions of personality “that most directly relate to success”: attitude about other people (Social Styles), drive to achieve (Action Orientation), inclination towards intellectual or creative activities (Mind-sets), and emotional response system (Emotional Temperaments). In taking the test you’ll find in his book, you (and your clients) will be able to identify sixteen personality traits to characterize yourself along these four dimensions. Beyond cultivating close relationships, happiness and a sense of fulfillment can be increased by “the feeling of doing the right thing,” which Shell describe in two ways: “Eudaimonia” is what Aristotle called the “spirit of goodness or the good that we seek for its own sake and not for the purpose of achieving any other good.” Simcha is a Hebrew word with many interpretations, Shell notes, “from simple joy and satisfaction, to the feeling of spiritual exultation” or what Rabbi Akiva Tatz calls “the experience of the soul that comes when you are doing what you should be doing.” Shell recommends combining both the cultivation of close relationships and the experiences of resonance with doing the right thing. That would mean using your best talents and strengths with others on what matters most. Shell’s Wharton course, and the process he now outlines in Springboard, have been a long-time, passionate interest of his that has given him the sense of meaningfulness he hopes others will feel in following this path. He truly walks his talk: “In the long run, we will succeed because the people who truly matter in our lives will appreciate us for who we really are, not who we are trying to be. ” And we need to know who we really are–in relationship to others and to our work. “Richard Shell has written a book that is at once wise and practical, attentive to the scientific literature and full of gripping stories of individual lives.” Barry Schwartz, PhD, Darwin Cartwright Professor, Swarthmore College, author of The Paradox of Choice: Why More Is Less and Practical Wisdom: The Right Way to Do the Right Thing. G. Richard Shell holds a B.A. from Princeton University, and a JD degree from the University of Virginia. He joined the faculty at the University of Pennsylvania’s famed Wharton School of Business in 1986, and serves as the Chair of the Legal Studies and Business Ethics Department. He led the School’s most recent innovation process to completely redesign its MBA program. 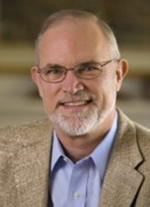 In his position as Academic Director for two Wharton executive education programs, The Executive Negotiation Workshop and the Strategic Persuasion Workshop, he consults with corporate, government, and nonprofit leaders from around the world to help them become more effective in their interactions with others and provide seminars and advice on negotiation and legal strategy. His clients are firms and individuals in the health care industry, financial services, high tech, family business, and investment banking, including giants like Google and General Electric and critically important as the US Special Operations Command and the FBI Crisis Negotiation Unit. Over his 27 years at Wharton, Richard has won numerous awards for excellence in teaching, both at graduate and undergraduate levels, and served in a visiting appointment at Harvard University School of Law and the Harvard Program on Negotiation. He has taught thousands of students and executives, and his books have appeared in 14 languages. As a teacher, Richard brings his insights into the importance of self-awareness into all of his classes. For example, in the areas of negotiation and persuasion, he created simple self-assessments to help people gain insights into how their personalities and emotions affect the way they negotiate and attempt to influence others. These assessments formed the foundations for Richard’s two earlier books Bargaining for Advantage: Negotiation Strategies for Reasonable People (2nd Edition, Penguin 2006) and (with Mario Moussa) The Art of Woo: Using Strategic Persuasion to Sell Your Ideas (Penguin/Portfolio 2007). In his class on professional responsibility in business for Wharton MBA students, Richard focuses on helping students understand how temptations to behave unethically (and sometimes even illegally) arise, and how they can better protect themselves — and their organizations- – from becoming the victims of such impulses. As a scholar, Richard publishes regularly in leading journals on the subjects of success, negotiation, dispute resolution, and strategy. His opinion articles on current issues and events have appeared in the Wall Street Journal, the New York Times, the Boston Globe, and the Philadelphia Inquirer. Richard has two grown sons, each of whom is pursuing his own unique vision of success, and is married to a wonderful woman (and college classmate) he first met at a Grateful Dead concert over 40 years ago. Richard’s interview on NPR Radio. This is outstanding. Short articles from Richard on “Do You Have the Right Kind of Confidence?” and “Success in 5 Easy Lessons“.